Since the iPad came out, I've been waiting, trembling, for a killer pinball app. 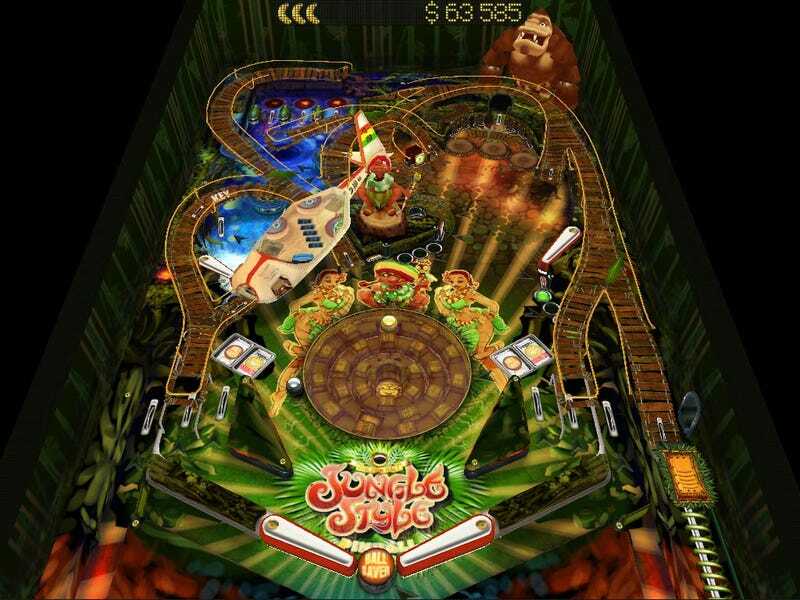 The Pinball HD falls well short of pinball nirvana, but there are worse ways to drop $3—especially in the App Store. The physics aren't brilliant—the flippers and ricochets never feel just right. If you've been spoiled by Pinball FX (that's on Xbox 360), you'll notice immediately that the feel of The Pinball HD is a definite tier below. But any pinball aficionado who's roughed it with a video game version has long-experienced qualms with physics. I wouldn't call them a dealbreaker that ruins the experience by any means; I'm just being a snob. What I found more unfortunate is that for $3, you get three tables that are mostly nice looking and well-planned—a pretty fantastic deal in my book—but only one of them plays at a consistently smooth framerate. In landscape mode, you get the whole table in one shot—a bit of a stretch for the iPad's size vs resolution. In portrait, which I preferred, you deal with non-optional zooms and pans to different parts of the table. The problem is that portrait mode runs with choppy framerates on two of the tables, which will make most people feel a bit epileptic. So you technically get three tablets, yes, but it's the least interesting table (the cowboy one) that you'll end up playing the most due to its superior performance.